Cars are a favorite metaphor and mirror for us humans, from their vroom for the young to the creaks and breakdowns for the aging. The comparisons would seem to have been exhausted, but I keep running into new ones. Here are a few. Some car comparisons occur to us because we can say that under certain circumstances, cars “die.” Atul Gawande discusses one aspect of how they do that in his book, Being Mortal: Medicine and What Matters in the End, although he mentions cars only once. He is explaining why genetics has little to do with how long we will live. The classical wear-and-tear model may explain more than we know. Leonid Gavrilov, a researcher at the University of Chicago, argues that human beings fail the way all complex systems fail: randomly and gradually. As engineers have long recognized, simple devices typically do not age. They function reliably until a critical component fails, and the whole thing dies in an instant. [But complex systems with thousands of parts are engineered with layers of backup systems. And so are we.] We have an extra kidney, an extra lung, an extra gonad, extra teeth. Nonetheless, as the defects in a complex system increase, the time comes when just one more defect is enough to impair the whole, resulting in the condition known as frailty. It happens to power plants, cars, and large organizations. And it happens to us: eventually, one too many joints are damaged, one too many arteries calcify. There are no more backups. We wear down until we can’t wear down anymore. Think about the rust on the bumper of a car. 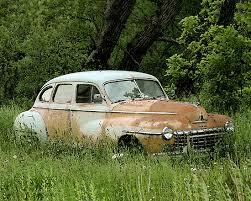 Rust is caused by oxidation or damaging oxygen molecules that corrode and eventually destroy the structure of metal. These same corrosive oxygen molecules…are found inside the human body…and contribute to the deterioration of cells. The idea of a living car is cute but unappealing otherwise, since the attraction of a car is that it is we ourselves who bring it to life. I don’t remember where I read the idea behind number four: cars are like people in that both result from gradual processes of selection. For cars, the selector is not nature but the competition of the automotive marketplace. Any particular trait of a car or an organism will endure only if the versions that carry the trait succeed sufficiently to be widely reproduced. Another evolutionary similarity. Cars are made to move. For humans too, motion has shaped us. Our oldest claim to organic uniqueness is that we walk on only two legs without a tail or feathers for support. Six million years ago, our ancestors clumsily rose up from four feet to two in order to get a better look as they walked across the savannah. The change helped trigger changes in our eyes, hands, legs, and brains. 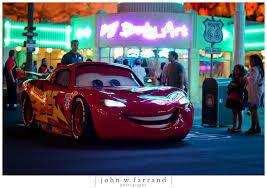 We, like cars, are made to move, and moving, in turn, made us. Finally and more philosophically, the driving experience echoes the way that we experience ourselves as a mind inside a body. Cars give us an opportunity to be a heightened version of our brain-in-a-body selves. Most of the time we might feel like just a mishmash of thoughts inside a squishy physique. But put us in the driver’s seat and we’re a bigger, sleeker animal and a laser-like self. The comparison goes further. We humans construct many entities besides cars that we can get into or put on—and in some sense “bring to life.” They include not only planes, trains, and ships but also clothes, buildings, novels, and even gods. In each of these, we position ourselves to be protected and enhanced and can readily identify with or personify the thing itself. We build and live in our protective houses and decorate them to make them reflections of ourselves. We “live” in the novels we read (or write) and imagine the living characters. And most strangely, we build gods and heroes by animating them with powers, passions, and virtues that we wish we had. All of these are cars of sorts, to transport and intensify us. I’ll be speaking today about the basic functions of my department, Head Quarters. Many current descriptors of humans and their “mind”—”self-aware,” “highly intelligent,” “imaginative”—suggest common misunderstandings of how Head Quarters operates. My hope is that the Units we are responsible for will benefit from less lofty and more realistic notions of how Head Quarters coordinates their functions. First, our Mission and basic operations. Head Quarters’ mission is to keep the Unit functioning and to prepare a replacement Unit to carry on after the present one becomes inactive. The various operations needed to carry out this mission are indicated on the diagram here of Head Quarters’ departments. Head Quarters continuously interprets streams of data coming in from around the Unit’s Network. It receives especially detailed data from the hands, mouth, and tongue. Data from external sounds and light sources arrive from the two pair of audio and visual receivers located adjacent to Head Quarters. Other data is handled routinely in round-the-clock monitoring of the Unit’s internal conditions, including levels of fuel, water, waste build-up, oxygen, and blood flow. Together with Lower Quarters, Head Quarters coordinates the processing of food intake. The data is stored in Archives. Data that is retrieved often can be easily accessed. Older and background data can decay and become difficult to access accurately if at all. Head Quarters is closed for business about a third of the time every twenty-four hours in order to perform such functions as offline consolidation, re-sorting of Archives, and resource replenishment. Head Quarters implements certain Conditions—C-States—that bring on mild or intense sensations in the Unit for various lengths of time. Such Conditions trigger behaviors that are considered to support the Unit’s well-being in the short or long run. They are brought on by changes in the Unit’s surroundings, often by the presence or behavior of other Units. C-Anger, an energized state in anticipation of physical conflict with hostile Units. A major portion of Head Quarters’ operations is the tracking of other Units. A few of these Other Units, or O-Units, have exchanged signals with Head Quarters since it first began functioning. They are labeled by generic indicators: mother, father, sister, parents. Archives contains full records about them. Other O-Units are encountered frequently but briefly and are less familiar. All O-Units are continuously assessed for their probable assessment of this Unit, including its Head Quarters. Assessments in both directions are made as to whether an O-Unit seems friendly, trustworthy, indifferent, a possible sexual partner, higher or lower in status. For reasons of safety, O-Units are crudely classified as friendlies, neutrals, or hostiles. Head Quarters views the formation and preservation of alliances as an essential component of Unit well-being. To this end, the smile-expression and the laughter-sound are important but not fully reliable signals. As for sound that the Unit can produce, Head Quarters is very skilled in their use to exchange information with O-Units. The foundation of the complex sound code is built in to every Units, though the specific signals vary widely. The sound code, an impressive achievement, is in almost constant use between Units. It enables a units to communicate about items that are either physically present or out of sight, in the past or anticipated in the future. Topics include strategies for food procurement, the expression of C-States, and the behavior of O-Units. The code is so compelling that it often runs silently as a default mode within Head Quarters. A visual version of the code is also in common use. The sound code includes identification markers for all Units. Early in their functionality, each Unit receives a set of two markers, one that indicates its Unit group, the other indicating the Unit itself and its gender. An example is Petersen, a group marker, preceded by Mary, a female member. The Mary Petersen Unit identifies itself as Mary Petersen as well as I and me depending on the situation, and the Mary Petersen Head Quarters continually reviews the Mary Petersen past, the assessments of Mary Petersen by O-Units, and the plans and schedules for Mary Petersen. Cumulatively, these processes result in the formulation of, and the belief in, what are known as Mary Petersen’s self and her life. In conclusion, the multiple and multi-level processes coordinated by Head Quarters are demanding. While every Unit operates in the present, it must constantly attend to the past and the future as well. Head Quarters is a forward-looking instrument—flexible, capable, in constant adjustment as the present moment changes and changes again. For the well-being of the Unit, no single time frame is secure or complete without consideration of the other two. Thank you for your attention. I think we have time for a few questions.